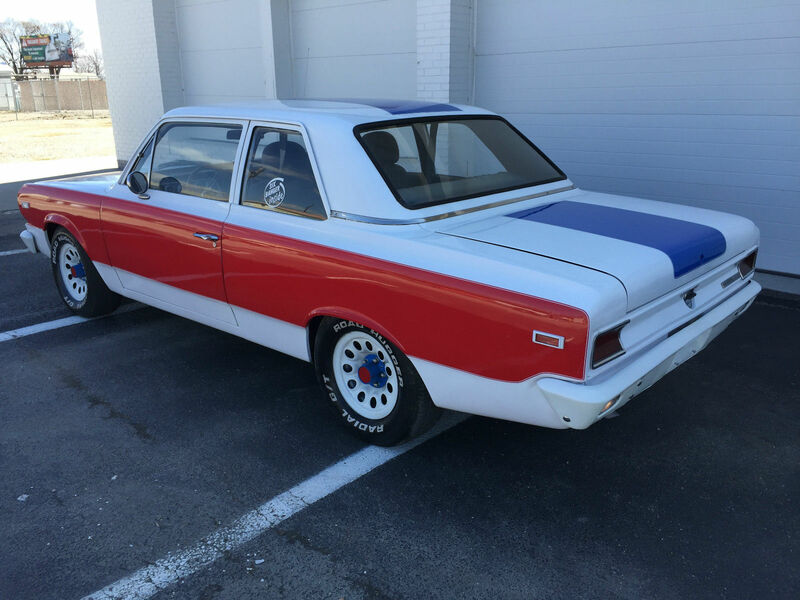 Find this 1969 AMC Rambler S/C here on eBay bidding for $1,225 with 5 days to go, located in Evansville, IN. This patriotic colored car is an AMC Rambler 2dr. 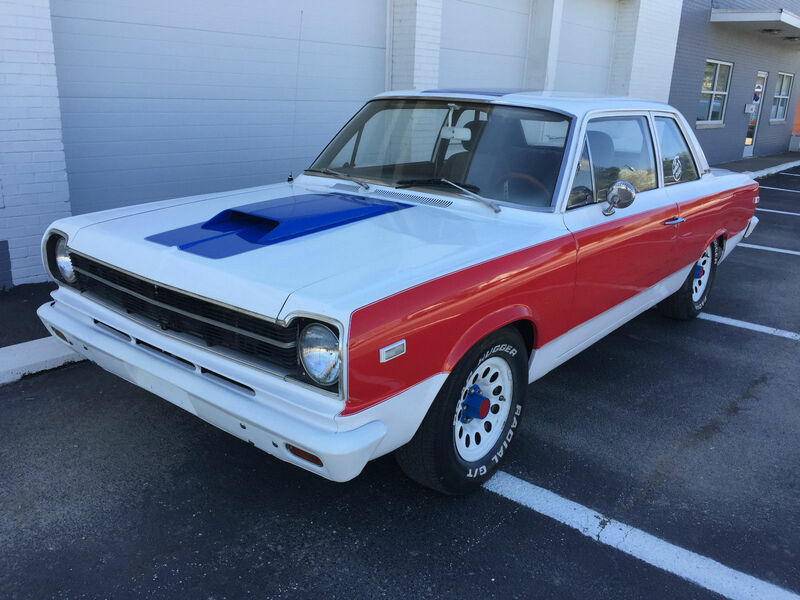 It is painted as a tribute to the rare AMC Hurst S/C Rambler, aka Scrambler. The paint and body on this are in very good shape, granted not perfect, but clean and rust free and great 2 footer. Paint has held up very well since this was completed. 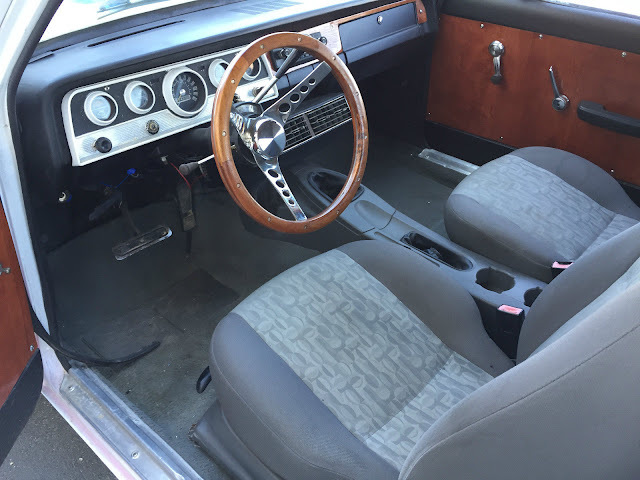 The interior has aftermarket bucket seats and console, with interesting wood custom made door panels that I actually think look appropriate for this car. The interior is in good shape for a driver, but can be easily changed if desired. Period wood steering wheel is comfortable and appropriate for this year. 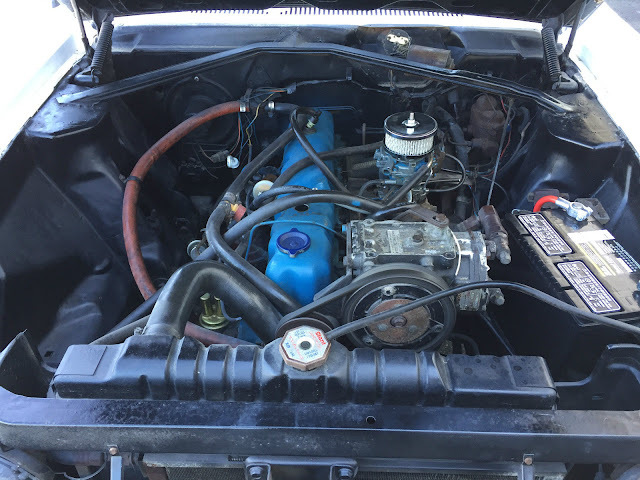 The inline six does start, run, drive, and stop. It is not the fastest car around as these only had 90hp new. I purchased with the plan of tossing the inline 6 for a much more robust LS V8, new transmission, and beefy brakes to make it a perfectly reliable sleeper. I have too many projects right now that must be completed and I have had to push this down the list. I hate seeing it just being parked and not getting the attention it deserves. Make no mistake, if you like it as it sits, you will still have a car that will turn heads and look very close (to all but the most trained eye) to a $60K S/C Scrambler. Yes I am listing this at NO RESERVE, which means high bidder gets it. Title is in hand, in my name, and personally owned by me.